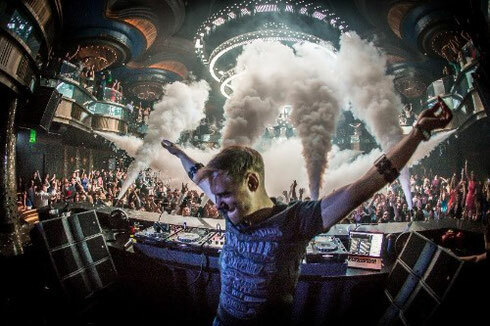 Armin van Buuren has been announced as the special guest of the Armada Captivating event. Armada Captivating is to complement the list of parties during Amsterdam Dance Event 2015 on 14 October, where Armin will be playing alongside Andrew Rayel, Heatbeat, John Dahlbäck, Jochen Miller and many more. In the weeks leading up to the event, apparently it was still unclear who the special guest would be, despite several rumours popping up that it was Armin van Buuren who’d be taking the guest spot as his own. Now, however, it has been confirmed that it’s Armin who will join the line-up. In addition to the Dutch DJ and producer, a broad range of electronic music artists will be playing at the event. The Armada Captivating event is intertwined with Armada Music sub label Armada Captivating. The imprint focusses on giving bright talents a chance to shine, whilst aiming to harbour some of the very best quality in electronic music. As well as paying respects to the strong legacy of trance music, the label is home to the broad range of genres that are trance and progressive, as encapsulated by the event.